You know those tiny porthole-type windows that people clamber to sit next to on airplanes? Their very presence can make a long flight seem a bit more bearable, but they add considerable weight and drag to the plane itself. 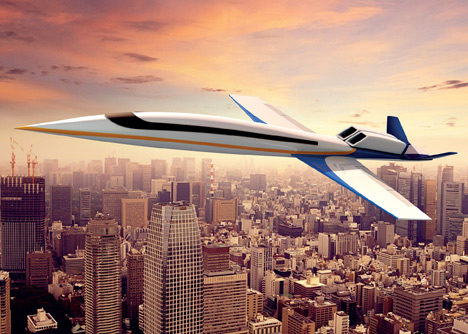 Spike Aerospace is planning to build a supersonic jet that will take passengers from New York to London in under four hours, and a lack of windows is partially to thank for this incredible speed. The standard airplane can fly at around 567 miles per hour. 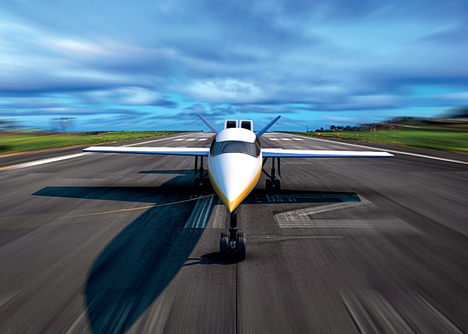 Spike Aerospace‘s S-512, however, will cruise at speeds of 1,060 up to 1,370 miles per hour. Its extreme performance can be attributed to its advanced engine and and body technology – and its lack of windows. 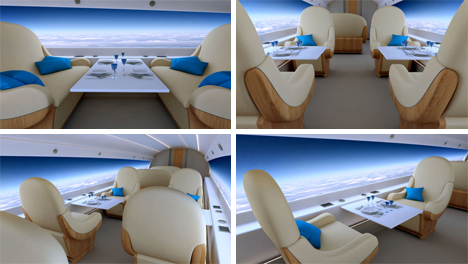 Instead of windows, the S-512 jet will feature curved digital screens running the entire length of the passenger compartment. Cameras on the outside of the plane can give a real-time view of the surroundings, or passengers can choose to watch other pre-recorded scenic views. The advanced design technology that went into designing the S-512 also makes it incredibly fuel efficient, making the jet an eco-friendlier way to fly. Its speed will make it attractive to businesses that need to shuttle their executives around the globe quickly and often. The S-512 is expected to hit the market sometime in late 2018 with whopping price tag of £48 million – or around $80.6 million US (at the time of publication).